- Fujinon-SW S f:8.0 65mm. This wide angle lens has 6 elements in 4 groups and a diagonal field of view of 75°, offering the same field coverage as a 28mm lens for a 35mm camera. 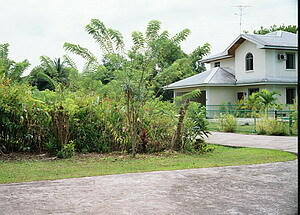 The minimum focusing distance is 1m (3' 4") and the minimum aperture is f:32.0. 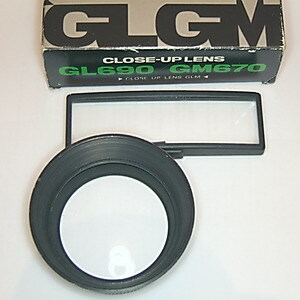 As with all the lenses available for the G690/GL690/GM670 cameras, the filter diameter is 72mm. 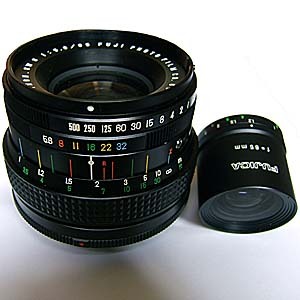 The lens comes with an external viewfinder with projected frames and parallax compensation (there is a small dial on the finder to adjust the distance to the subject). - Fujinon S f:3.5 100mm. 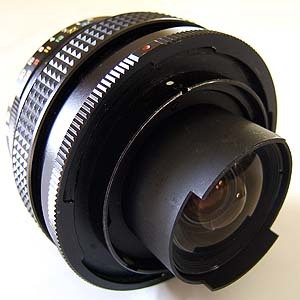 This is the "normal" lens with a classic Tessar design (4 elements in 3 groups) and a diagonal field of view of 53°, offering the same field coverage as a 43mm lens for a 35mm camera. The minimum focusing distance is 1m (3' 4"), the minimum aperture f:32.0, and the weight 763g. This close-up attachment reduces the minimum focusing distance of the 100mm "normal" lens to 0.58m, while retaining rangefinder coupling. 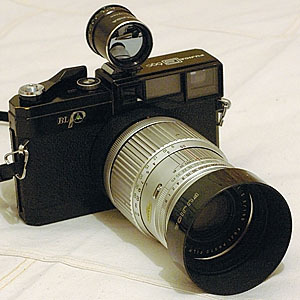 - Fujinon-T S f:5.6 150mm (5 elements in 4 groups). This short telephoto lens offers a diagonal field of view of 37°, the same field coverage as a 65mm lens for a 35mm camera. 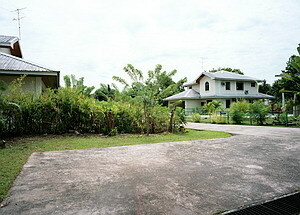 The minimum focusing distance is 2m (6' 8") and the minimum aperture is f:45.0. There is no need for an external viewfinder, as the built-in finder of the G690/GL690/GM670 cameras has a frame showing the coverage for this lens. - Fujinon-T S f:5.6 180mm (5 elements in 5 groups). 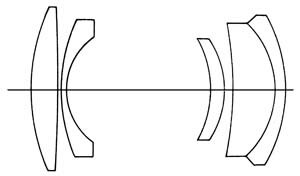 The diagonal field of view is 31°, offering the same field coverage as a 78mm lens for a 35mm camera. The minimum focusing distance is 2.5m (8' 4"), the minimum aperture f:45.0 and the weight 959g. The external finder has reflected frames and offers parallax compensation. 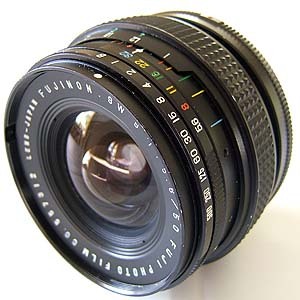 - Fujinon-SW S f:5.6 50mm (weight: 593g). A rather unique ultra wide angle orthoscopic lens. 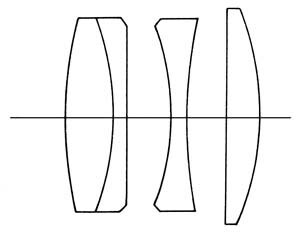 This lens comes with a redesigned external viewfinder which has reflected frames showing the field for 6x9 pictures (plain lines) as well as 6x7 (dotted lines). 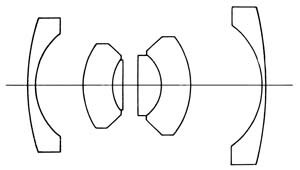 The minimum focusing distance is 1m (3' 4"), the filter diameter 72mm and the diagonal field of view exceeds 90°, offering the same field coverage as a 21.5mm for a 35mm camera. As a comparison, the famous f:4.5 38mm Zeiss Biogon mounted on the Hasselblad SWC has the coverage of a 20.8mm lens for a 35mm camera and a field of view of 92° (usually less because the 6x6 image needs cropping to fit usual paper sizes). Better cover this protruding rear element when not in use! The strong field curvature appears only in the finder image, not in the actual pictures taken through the lens. Note the dotted lines showing 6x7 coverage when used with GM670 camera. 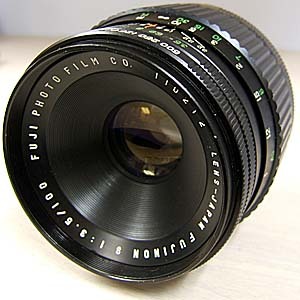 - Fujinon-SW S f:5.6 65mm (weight: 609g). 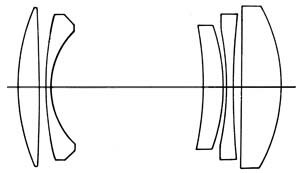 This 8 elements in 4 groups lens is based on the f:8.0 65mm design, but with some elements split to allow for better correction of the aberrations and a slightly wider aperture. 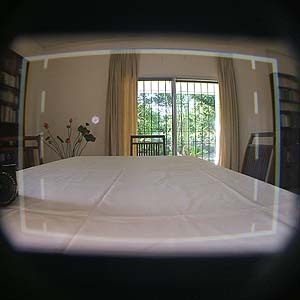 The external viewfinder is the same as for the 50mm lens (0.39x magnification), only the reflected frames are narrower. - EBC Fujinon AE f:3.5 100mm (weight: 690g). This incredibly useful lens has the same optical formula as the f:3.5 100mm, but with an electronically controlled shutter allowing automatic exposure (AE) varying continuously from 1/500 to 8 seconds. 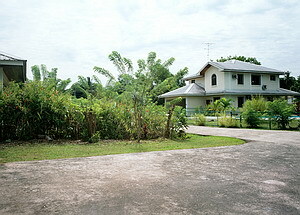 Film speed can be adjusted between ISO 25 and 800 using the foremost lens ring. 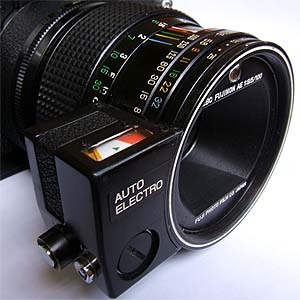 According to manufacturer's specifications, AE operates from EV 0.6 to EV 19, although the shutter will still fire in complete darkness, leading to exposure times of several minutes (accuracy not guaranteed). The sensor is a CdS cell with a 15° angle of measurement. The battery is a 6.2V silver oxide Eveready 544/Mallory 4G13/Panasonic 4SR44 or a 6.0V alkaline A28PX (these type are currently available but not common; 4 X SR44 1.55V silver oxide or 4 X LR44 1.5V alkaline batteries can be used instead). 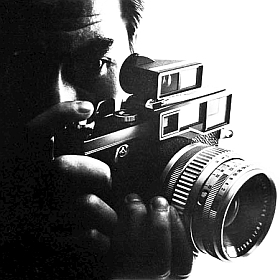 Without battery, the shutter will only operate at 1/500 sec. This is the only lens in the batch with multi-coating (EBC = Electron Beam Coating). The CdS sensor is located right above the lens, inside the filter thread (so you don't need to adjust the meter for filter factors). If you don't trust automatic exposure, you can always use the larger of the two buttons on the side of the lens to get a manual exposure reading. The smaller button is for battery test.